In the latest twist in a long-running dispute between Malaysian broadcaster Astro Group and Indonesian conglomerate Lippo Group, a Lippo Group entity has failed to overturn a Hong Kong Court of First Instance decision refusing enforcement of awards rendered in the Singaporean arbitration (see Astro Nusantara International B.V. and others v PT Ayunda Prima Mitra  HCCT 45/2010). Whilst it upheld the lower court’s decision, the Hong Kong Court of Appeal nonetheless clarified certain issues, including the interrelationship between an award debtor’s right, on the one hand, to pursue “passive” remedies against an award, and its duty, on the other hand, to act in good faith in challenging enforcement. These issues had previously arisen before the Singaporean courts when Lippo successfully resisted enforcement notwithstanding that it had chosen not to bring that challenge at earlier junctures. The Hong Kong Court of Appeal decision appears to align the position in the two jurisdictions. Sections 40–44 of the Hong Kong Arbitration Ordinance (Cap. 609) (the “Ordinance”) set out the enforcement regime for awards to which the New York Convention on the Recognition and Enforcement of Foreign Arbitral Awards apply. By s. 44(1) of the Ordinance, enforcement of a Convention award shall not be refused except in specific circumstances identified in s. 44 of the Ordinance. These include when circumstances in which an award is made pursuant to an invalid arbitration agreement (s. 44(2)); goes beyond the scope of such an agreement (s. 44(2)); or would be contrary to public policy to enforce (s. 44(3)). However, the s. 44(2) grounds are non-mandatory. Even should one be made out, the court retains discretion whether to permit or refuse enforcement. One circumstance in which this discretion may be exercised to prevent a party from relying upon such grounds is where that party has breached the principle of “good faith”. Significantly, the Hong Kong courts have found that a party has failed to act in good faith where it has failed to make a prompt objection, during the proceedings, to irregularities with the arbitration process which it subsequently raised when resisting enforcement (Hebei Import & Export Corp v Polyteck Engineering Co Ltd  2 HKCFAR 111). However, it is not immediately obvious that merely by delaying its formal challenge until the enforcement stage, a debtor is acting in bad faith. 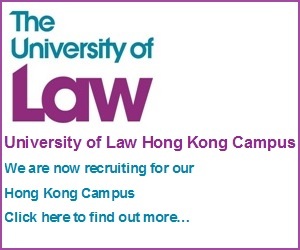 On the contrary, the UNCITRAL Model Law, which is implemented in the arbitration legislation of both Hong Kong and Singapore, envisages that a party may bring a challenge at various junctures, including “active” challenges by way of setting aside proceedings in the place of the seat of arbitration; or “passive” challenges by resisting enforcement in the place where an enforcement application is made. The principle of “choice of remedies” holds that a party is not by refusing to pursue active remedies precluded from relying upon passive remedies (Paklito Investment Ltd v Klockner (East Asia) Ltd  2 HKLR 39). Where then to draw the line between an award debtor’s duty to act in good faith in challenging an award (including by making prompt objections), and its right to rely exclusively on passive remedies, so awaiting the rendering of an award in the proceedings? One answer is suggested in the reasoning employed in the Hebei Import case. Here the award debtor’s objectionable conduct was to make “no formal submission whatsoever” during the course of the arbitration to the alleged irregularities. In doing so, they had deprived the other participants in the arbitration of the opportunity to remedy the defect, and so had, in effect kept “the point up their sleeve” for future deployment. This is distinguishable from the position in which a party raises the objection during the arbitration and reserves its rights to resist enforcement on such grounds – so putting the other participants on notice that it will seek to implement its legitimate right to a choice of remedies. The Astro-Lippo dispute arose out of a joint venture transaction regarding the supply of satellite television services in Indonesia. In 2005, various Astro and Lippo Group entities entered into a Subscription and Shareholders’ Agreement (the “SSA”). The SSA contained a number of conditions precedent upon which the parties’ respective obligations thereunder were predicated. Prior to fulfilment of these conditions precedent, it was agreed that three subsidiaries of the Astro Group, themselves non-signatories to the SSA (the “Additional Parties”), would supply funds and services to the joint venture Direct Vision to build up the latter’s business. When disputes arose under the SSA, a Lippo Group entity commenced proceedings against the Additional Parties in the Indonesian courts. As the SSA contained an arbitration clause, Astro Group commenced arbitration proceedings against Lippo Group under the auspices of the Singapore International Arbitration Centre. Astro further sought to join the Additional Parties to the arbitration (the “Joinder Application”). By preliminary award dated 7 May 2009, the Tribunal rendered an award on preliminary issues joining the Additional Parties to the arbitration (the “Preliminary Award”). The Tribunal subsequently rendered four other awards in Astro Group’s favour, awarding Astro Group entities damages totalling over US$130 million (together with the Preliminary Award, the “Awards”). Lippo Group did not take any steps to challenge or apply to set aside the Awards before the supervisory court of the Arbitration (ie, the Singapore court) whether within the statutory time periods or at all. In 2010, Astro Group obtained ex parte orders to enforce the Awards in Singapore. Only then did Lippo Group apply to set aside the enforcement order, on the grounds that there existed no arbitration agreement between Lippo Group and the Additional Parties. Following first instance decisions of the Singaporean Courts, by a judgment of 31 October 2013 the Singaporean Court of Appeal refused enforcement of the Awards against the Additional Parties on the grounds there was no valid arbitration agreement between the Additional Parties and First Media, and the Tribunal had no jurisdiction to make the Awards in favour of the Additional Parties against First Media. However, consistent with the principle of choice of remedies, the Singapore Court of Appeal found that the fact that the Lippo Group entities had not raised a timely challenge to the Preliminary Award on jurisdiction did not prevent them from exercising their passive remedy to challenge the enforcement of the Awards. In 2010, Astro Group obtained orders from the Hong Kong Court of First Instance to recognise and enforce the Awards in Hong Kong (the “Hong Kong Orders”). At that time, the Lippo Group, believing that it had no assets in Hong Kong, did not apply to set aside the Hong Kong Orders. The Astro Group entities subsequently entered judgment (the “Hong Kong Judgment”) and subsequently obtained a garnishee order against receivables due to Nippon Group company, First Media. In 2012, 14 months after the statutory 14-days time limit for challenging the Hong Kong Orders had expired, First Media and others applied to set aside the enforcement of the Hong Kong Orders and the Hong Kong Judgment, and for an extension of time to do so. First, in consideration of all relevant matters and the overall justice of the case, he would not exercise his discretion to extend time for First Media to apply to set aside the Hong Kong Orders and Hong Kong Judgment. Second, in any event, even if an extension of time were to be granted, First Media would be precluded from relying on s. 44(2) of the Ordinance to resist enforcement of the Awards for breaching the “good faith” principle. When it came to the first ground for refusal, Chow J cited a number of “relevant matters” for his decision not to extend time. These included: (1) the “very substantial” delay of 14 months; (2) that the delay was the result of a “deliberate and calculated decision not to take action in Hong Kong”; and (3) that, notwithstanding the Singaporean courts’ refusal to enforce them, the Awards were still valid and created legally binding obligations on First Media because they had not been set aside. As for the second ground for refusal, the judge accepted the Astro Group entities’ submissions that, notwithstanding that First Media had in the proceedings reserved its position regarding the Tribunal’s jurisdiction, its conduct in the arbitration, including its defence of the claim on the merits, precluded it from resisting enforcement by raising those jurisdictional arguments. Chow J had "fallen into error", in not giving proper recognition to the Singaporean Court of Appeal’s decision to refuse enforcement of the Awards on jurisdictional grounds. Citing the Hebei Import case, which concerned challenges to enforcement of a CIETAC arbitration award rendered in the PRC, the court noted that the law of the seat of arbitration, and judgement of any supervisory courts, are “particularly relevant” when considering the conduct of the arbitration for the purpose of the "good faith" principle. The Judge had also erred in the reasoning employed to find that the issue of jurisdiction was irrelevant to the exercise of his discretion under s. 44(2). He had made a false distinction between the court’s discretion to determine (on the one hand) whether a party resisting enforcement is permitted to rely on any of the grounds in s. 44(2) to do so; and its discretion (on the other) to decide whether to permit enforcement where a s. 44(2) ground is made out. The judge had therefore found (wrongly) that the jurisdictional question was irrelevant to the exercise of the second “narrow” discretion. 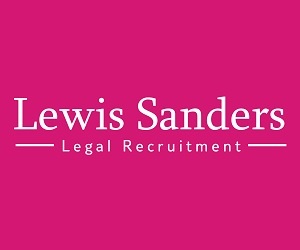 In fact, the question of the jurisdiction of the Tribunal should have been taken into account when considering the exercise of discretion under s. 44(2), as it was a "fundamental defect" that enforcement was sought against the Additional Parties, who had been wrongly joined to the arbitration. Had he taken this into account, the Judge could only have exercised his discretion to refuse enforcement. As an aside, the Court of Appeal distinguished the conduct of First Media from that of the award debtors in Hebei Import and China Nanhai Oil Joint Service Corporation Shenzhen Branch v Gee Tai Holdings Co Ltd  2 HKLR 215. 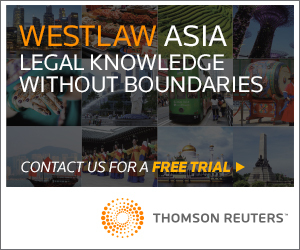 In the Singaporean arbitration proceedings, First Media did on occasions, although not at every step, reserve its position regarding the Tribunal’s jurisdiction. This contrasted with the conduct of the award debtors in Hebei Import and Nanhai, which in bad faith kept the objections "up their sleeve", for future deployment. Further the Court of Appeal observed that the good faith principle is in principle complementary with the "choice of remedies" principle, although “[a]pplying the principle of ‘good faith’ too rigorously whenever there is a failure to pursue active remedies might bring this into conflict”. However, it found that the solution “may be that regard should be had to the full circumstances why an active remedy is not pursued or other relevant considerations (such as whether there was a clear reservation of rights so the opposite party was not misled)”. Justice Mimmie Chan commented at an interlocutory stage of the Hong Kong proceedings that, “it will indeed be remarkable if, despite the Singapore Court of Appeal judgment on the invalidity of arbitration awards, Astro will still be able to enforce a judgment here [Hong Kong] based on the same arbitration awards that were made without jurisdiction." In upholding the First Instance decision, the Court of Appeal has upheld this common sense principle. Furthermore, the Court of Appeal has helpfully clarified issues which were left uncertain by the First Instance decision, principally the interrelationship between the good faith and the “choice of remedies” principles. 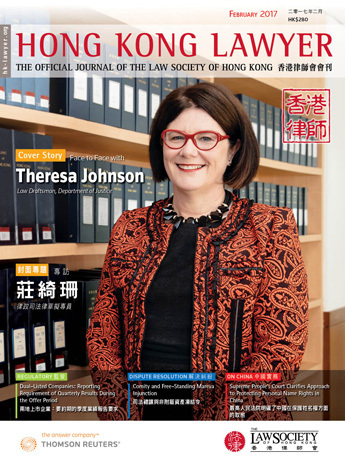 Had the Court of Appeal upheld the lower court’s reasoning that First Media was prohibited on good faith grounds from resisting enforcement even in circumstances in which it had previously raised those objections with the Tribunal, this would have given rise to uncertainty for parties seeking to exercise their “choice of remedies” in Hong Kong seated arbitration. Such parties would be justifiably concerned that a reservation of rights would not be sufficient to protect their position.